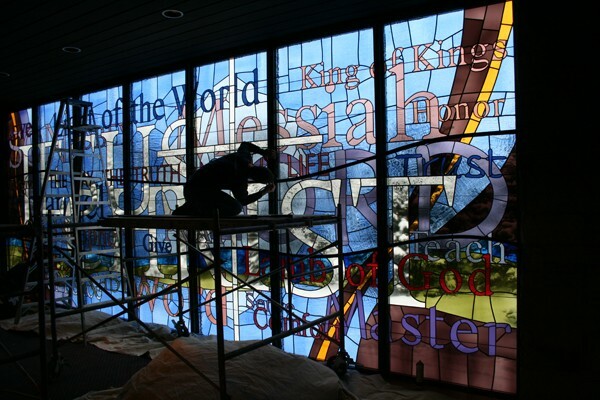 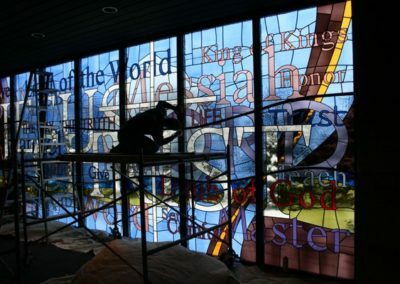 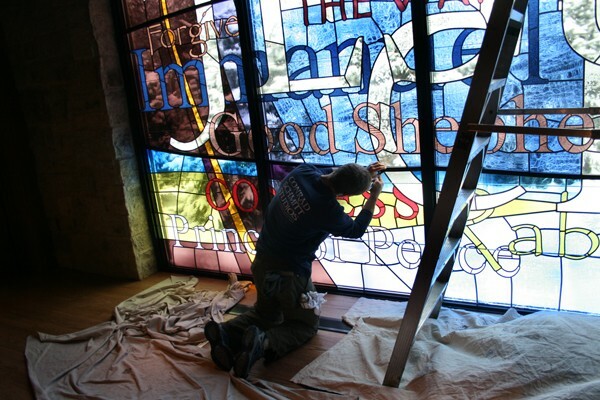 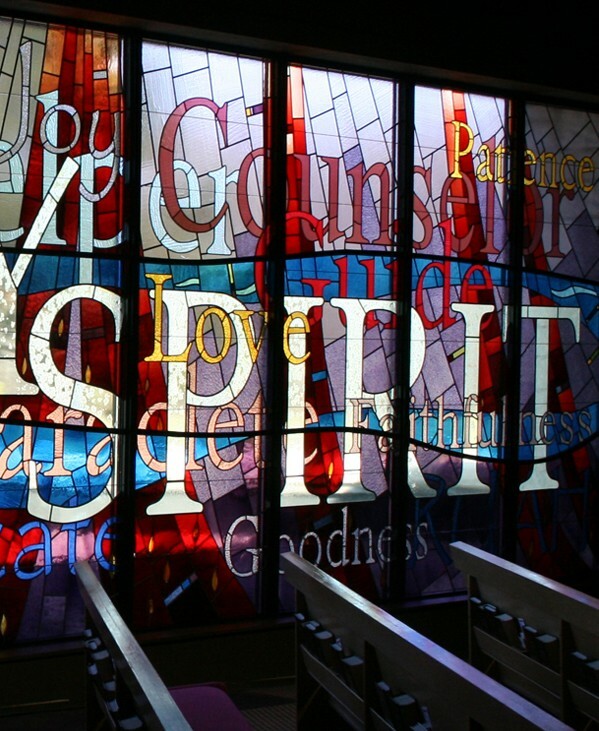 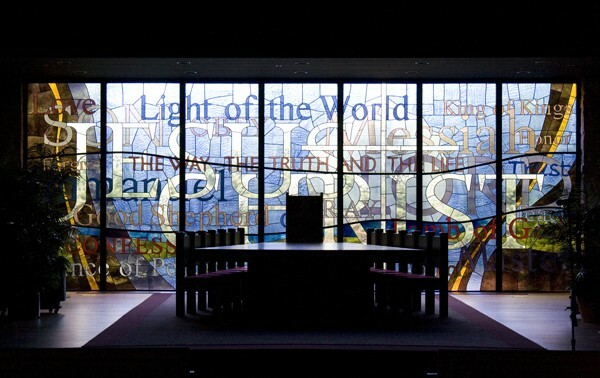 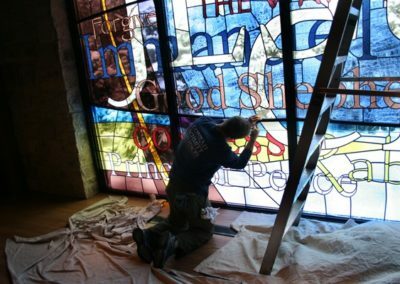 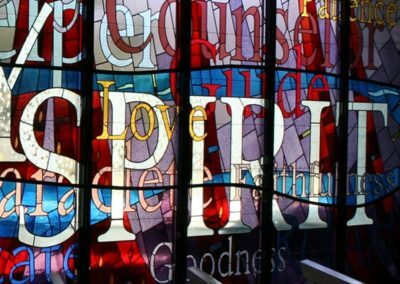 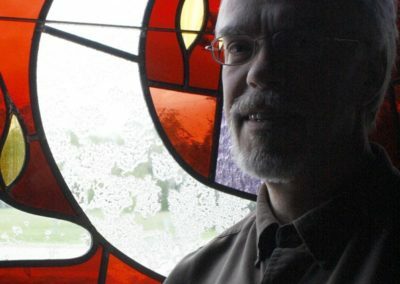 Conrad Schmitt Studios worked closely with Dale Olsen, designer and architect, to create the stunning word-scape windows at Christ Church Catholic Church in Oak Brook, Illinois. 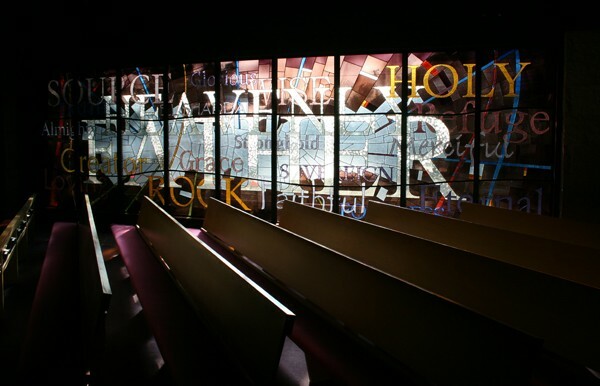 As a member of the congregation, Mr. Olsen had used this word-scape composition in paintings that already enhance some of the community spaces in the church. 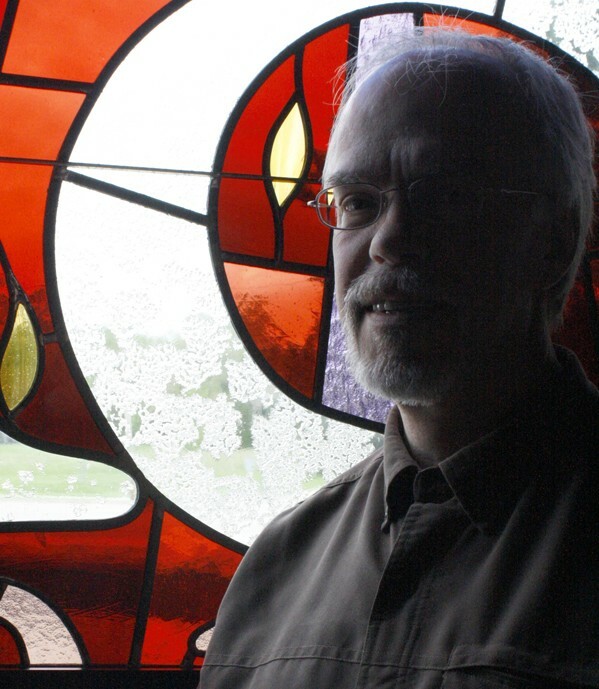 Conrad Schmitt Studio’s challenge was to translate his vision and artistic style to glass. 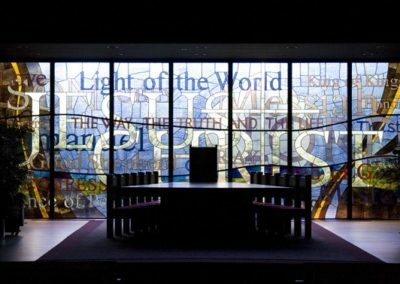 The three Trinity windows feature words that reinforce the liturgy of the Father, Jesus Christ and the Holy Spirit using a variety of hand-selected glasses, including mouth-blown antiques, machine textured sheets, and acid-etched clears. 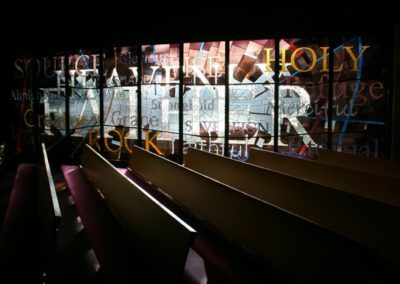 The large format of the windows covered a total of over a thousand square feet, yet the finished composition invites the viewer in as closer inspection reveals the complexities of the textures and subtle color shifts.